Is Scotty Cameron a person...Or a putter? Both?! My question was greeted by a delayed response and then audible laughing from upstairs and a visit to the bagroom shortly after to help me with my search. 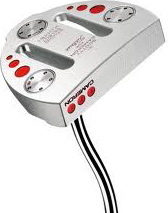 I can’t remember if the putter was actually found, but I DID learn that Scotty Cameron actually IS a person, but also a brand of putters….live and learn, folks. In November, we hosted the ADT Skills Challenge. With a very busy week, I was helping out in the staging area, attempting to send golfers on their way. Having not worked in the staging area before (still, I should have figured this one out my self), a three some came around and I was setting up their carts. After all the laughing, it was suggested that I might want to improve my golf knowledge…which would have come in handy for this next one. At our driving range, there is a sign that indicates a golfer can only use a seven iron or under because of the close proximity of the tennis courts and the 17th fairway. We’re not a true driving range–it’s more of a warm up facility–so we try to make sure that drivers especially are not used. As I was passing by the hitting mats, I hear the distinct noise of someone using what was not a seven iron or anything below. I kindly say hello the guest, point to his club and say “I’m sorry, but we don’t allow drivers on the range.” The gentleman looks at me a little funny, informs me that it is not a driver but actually a three wood, and proceeds to ask if I golf. Thankfully, I had my first golf lesson last week. It’s important to be able to laugh at yourself as long as you learn from your mistakes! Beamer, Benz, or Bentley…or Broken Down Car: Why Minor League Players need YOUR Help! If you like rap music, you’re probably familiar with the song “Beamer, Benz, or Bentley” by Lloyd Banks. And when driving into a player’s parking lot, even in the minor leagues, that song has a lot of truth to it. There are a number of players that were high draft picks and awarded themselves with a new car, some players who came from wealthy families and already had a nice car, and many players who drove what their parents gave them for their 16th birthday. It’s important to remember that not every baseball player automatically comes with an in disposable income. For the players that didn’t have the luxury of bringing their car on the road with them to whichever small, ‘last-one-out-shut-off-the-lights’ kind of town (think Elizabethton, TN), I’ve known them to buy bicycles at the local thrift or Goodwill store–partially for entertainment, I am sure–but also because packing more guys than there are seats into a sports car can get pretty uncomfortable. I’ve first handedly seen a couple of players riding their bikes home after a game, gym bag on the handle bar, pitching arm only feet away from traffic at 11:30 at night…not something a coach or a general manager probably wants to see. I’ve also seen a very well-liked, highly touted prospect stop and give a ride out of the parking lot to a handful of Latin players who were headed home in the pouring rain. At a season opener introduction ceremony in 2009 for the team I worked for, an announcement was made that a player needed a car and would be willing to pay whoever could help him out whatever he could afford (a very small amount)—he had a car within a couple weeks. In most cases, before they turn into a millionaire or an Alex Rodriguez or Joe Mauer, they struggled in the years before. Many minor league teams, especially at the Rookie level (some rookie teams are located in Scottsdale, Phoenix, and Mesa, AZ…places not known for cheap rent) offer host families to cut the cost of renting an apartment—something that comes very much in handy when you’re 18 or 19 or 20 years old and even after that. Often, season ticket holders also turn into “team moms.” The two years I was with the Ft. Myers Miracle, a couple that were season ticket holders took a few players under their wings and had them over for dinner, took them out to eat, and brought cookies and brownies for the entire team once or twice a week. To a small town, a baseball team provides excitement and entertainment and this is that town’s way of thanking them. Until you hear them talk about how nice it was to have a home cooked meal, or how great the “spread” was in the clubhouse when a major league player was in town rehabbing, most fans don’t know how much being on the road for seven or eight months makes these “boys” miss the little things at home. If you have a minor league team in your town or city of any level, reach out to the media relations director (who is in daily contact with the players) or the community relations director and see if you can help in any way. 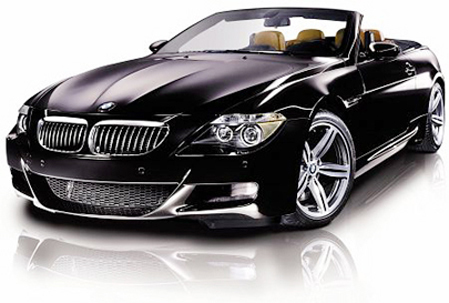 A future MVP or Hall of Famer will remember you long after buying his first Beamer, Benz, or Bentley. 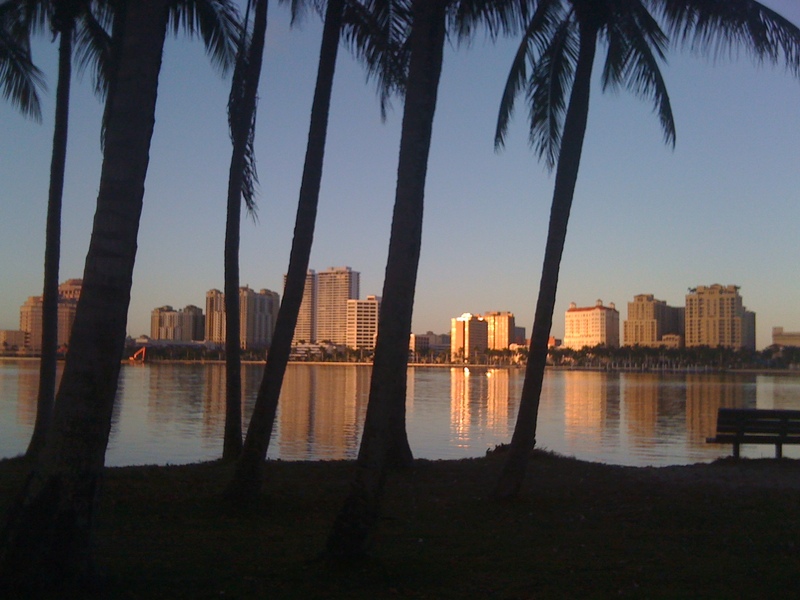 It has been 106 days since my last post, and I can only blame loving West Palm Beach so much that I haven’t had time to update! That, and the fact I had internet issues until December. However, to be really honest, it took another blogger to point out that I have been doing a horrendous job updating my blog. Thank you to “Johngy’s Beat” and this post to remind me that there are people who read (and miss!) my blog. With that, I smiled when I read what I had written in September. Although I don’t have a huge group of friends, I definitely have a few who I refer to as close friends. One lives on the same street as I do and shares my love for de-stressing with a great catch-up session at our favorite bar (Shocktop for her, Blue Moon for me), another one lives on the floor below me (and also works at The Breakers) and has graciously let me borrow anything from a hammer to a wine opener., and the last one is also someone I met at work who is undoubtedly on the fast track to becoming a fantastic teaching pro. Thankfully, I haven’t needed a large number of friends to feel welcome not only at The Breakers, but in West Palm in general. Since my first day at work, so many people have given me advice on where to live, where to go, what places to avoid, and a helping hand and friendly smile without asking for anything in return. Everyone knows what it’s like to be the “new kid,” and these people, my “work” family, has made it effortless for me to feel welcome. A huge and wonderful thank you to everyone! The downfall of living here, however beautiful and fun this city might be, is the fact that I don’t get to see my family frequently. I was lucky enough to spend Christmas with them in Bonita Springs (in between Fort Myers and Naples) and had a great time. My sister made the trip over to see my new apartment and I took her out to show her the town–we had such a fun time and I sooo wish she still lived in Miami so we would be closer! I know some of my readers (if I have any left!) are used to more sport-related posts and stories, so I apologize–hopefully you can tolerate general updates on life until I work my way back into sports (still my passion!). However, I do have a few articles and an interview I wrote for this baseball website this past fall. Unfortunately, I haven’t had time to sit down and write anything for a bit but will post the stories that are under that link shortly! If you’re still a reader, THANK YOU! If you’re new, welcome!